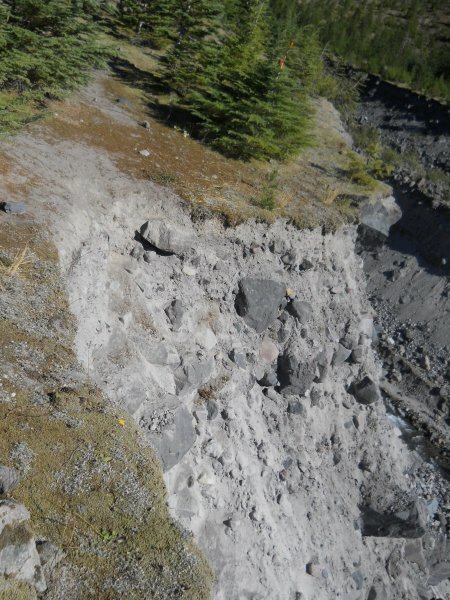 side had been completely wiped out by the Mount St.
Helens eruption, but it's growing back here! 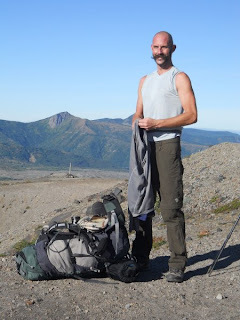 I got an e-mail a few months ago from a fellow on Atlas Quest named NW Adventurer, asking about my experiences on the PCT. He was particularly interested because he intended to thru-hike the PCT himself next year. We swapped a few e-mails, and eventually made tentative plans to do a short backpacking trip late in the summer. 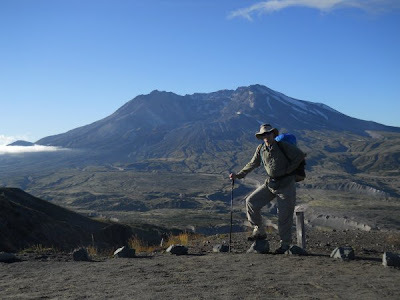 Finally, we agreed on a time and a place, and ultimately we decided to visit one of the most famous mountains of the Pacific Northwest: Mount St. Helens. 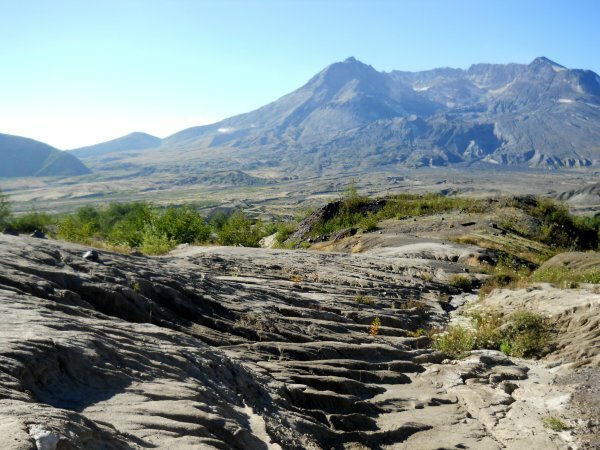 For those of you who sleep under a rock, Mount St. Helens is the volcano that erupted so spectacularly back on May 18, 1980, wiping out hundreds of square miles of forest and reducing the top of the mountain by 1,300 feet. 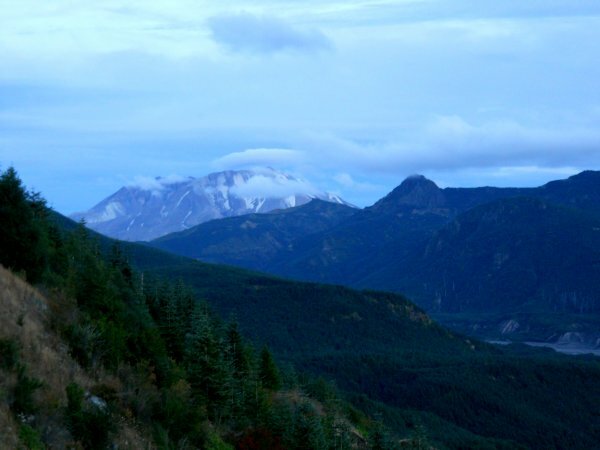 Prior to the eruption, the peak was the 5th highest in the state. 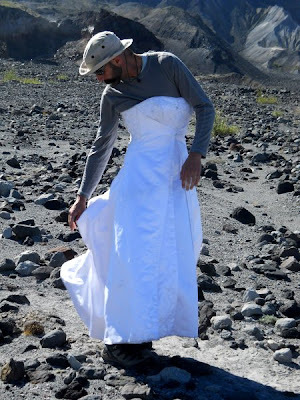 After the eruption, it doesn't even break the top 20. This mountain is a geological wonder! I had done some hiking on the south side of the mountain before, but you couldn't really see into the crater from that direction and was well outside of the blast zone. Considering it was only a few hour drive away, it's remarkable I haven't explored the area in more detail. I intended to change that with this trip. 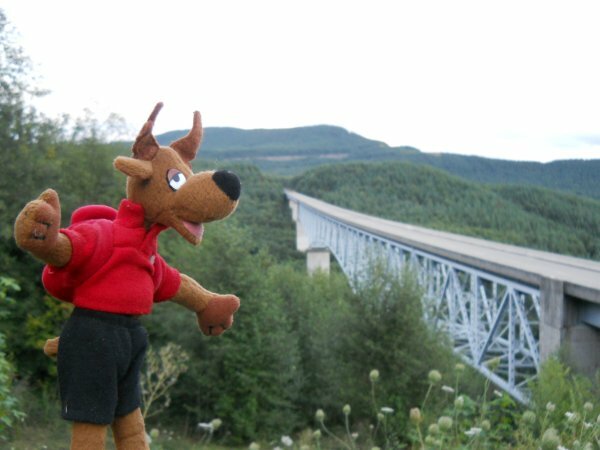 This trip, I decided, would take us completely around the mountain mostly following the 28-mile-or-so Loowit Trail. 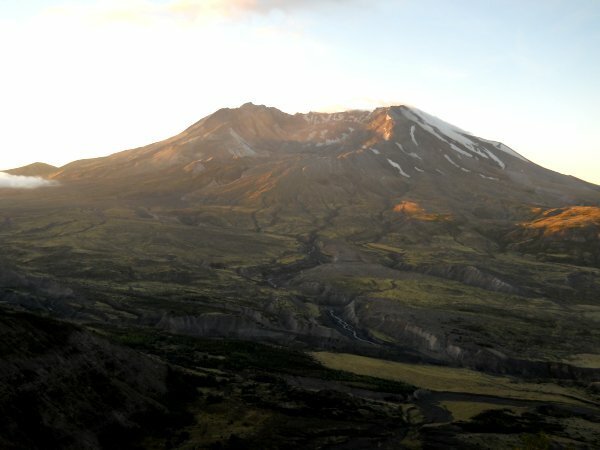 We woke the next morning to a beautiful view of Mount St. Helens. We saw it a bit the evening before, mired in clouds and partly obscured, but during the night the clouds mostly left leaving an absolutely stunning view directly into the crater. Wow. 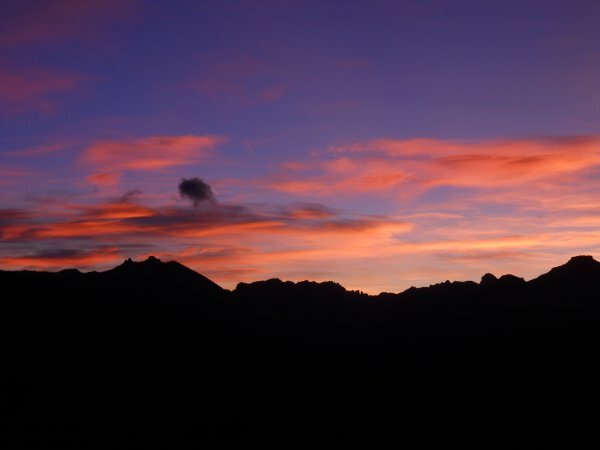 Sunset from our waywide camp. We parked at Johnson Ridge, packed up our gear, and headed out. After about a half hour, Ron stopped to take off a layer of clothes--the day was warming up rapidly, and I pulled ahead. After about ten minutes, my spidey senses started to tingle. Something about the trail felt wrong. 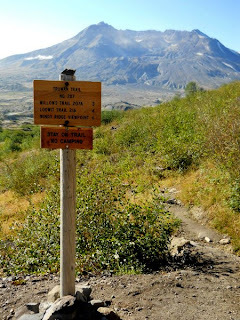 I was expecting a junction, which would take me south towards Mount St. Helens, but the trail seemed like it was going more north than south. Trails wind around obstacles often enough, but I started getting the feeling that I somehow missed the junction. But that was impossible, I thought. The trail was clearly marked. I couldn't possibly miss a major trail junction... but my spidey senses continued to tingle. Five more minutes, I decided. I'll go for another five minutes and see how things stand. I'm ready to hike around the Great Mountain. Five minutes later, I still hadn't found the junction. Looking at my watch, I had expected to come across it ten minutes earlier. I pulled out my topo map of the area, and unless I was badly misreading it, I was certain I was on the wrong trail. It was time to turn around. If I was lucky, Ron would catch up with me after a few minutes of hiking and confirm that we hadn't reached the junction and I was on the right track all along. But I didn't see Ron. I continued backtracking, following the trail for ten minutes until I reached the junction. A giant sign marked it, pointing the direction I needed to go. And I couldn't help but think, "How the hell did I miss this junction?!" I'd hiked about 10 minutes in the wrong direction, and 10 minutes back, which I figured put me about 20 minutes behind Ron at this point. Probably close to a mile. Crap. He probably still thought I was in front and was hoofing it as fast as he could trying to catch up to me. 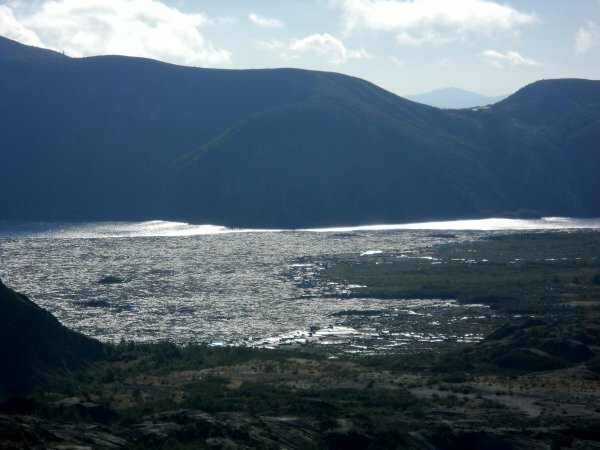 Coming down off of Johnson Ridge, I crossed over parts of the largest landslide in recorded history--and the lumpy hummocks it left behind that slid completely up and over Johnson Ridge. Wow. Down from the ridge, the trail followed a largely flatish plain, desolate with only the smallest of trees and bushes. This area used to be a thriving old growth forest until Mount St. Helens blew. last photo I ever took of him? 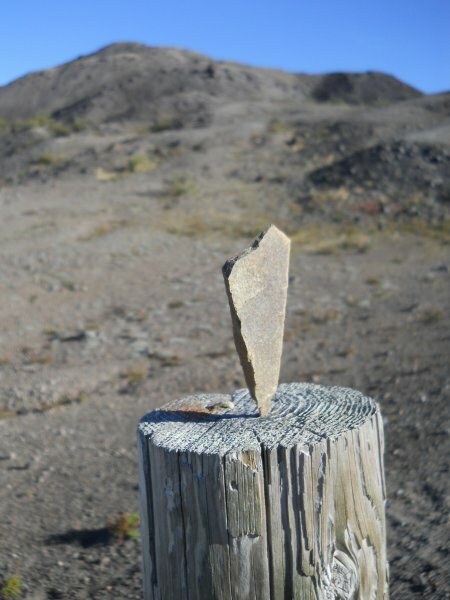 There was a view of Spirit Lake, filled with hundreds and hundreds of logs destroyed in the eruption. I'd heard about those logs filling Spirit Lake, and seen photos of it before, but it was still quite a sight to see in person. I once read that every month, one or two of the logs become so waterlogged that they finally sink to the bottom of the lake. I'm not sure who sits around counting how many and how often logs sink to the bottom of the lake, but I thought that was interesting. At that rate, however, the logs will clutter the lake for years more to come. Spirit Lake fascinated me. The waters of the lake sloshed 800 feet up the hillside, and lahars and pyroclastic flows filled in the old lakebed raising the surface level of the lake by over 200 feet. 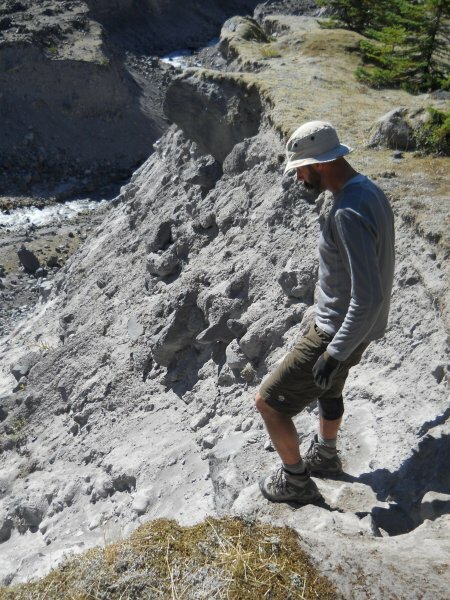 Most geologic processes move so slowly, it's hard to see any changes within a lifetime. which just fascinates me. =) Hiking within the crater is not allowed for safety reasons. A few streams ran through this low area and frogs seemed to jump out from absolutely everywhere. Hundreds of little frogs. I had to be careful not to step on any of those cute little things. If they didn't move, though, they were practically invisible, blending into their backgrounds better than a chameleon. Spirit Lake, filled with logs that once made up a thick forest around it. The hummocks left on Johnson Ridge weren't to be seen in the lower valleys at the base of Mount St. Helens--which were largely flat and devoid of features. 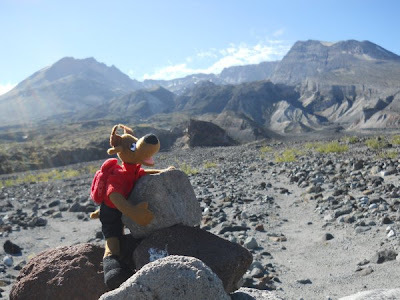 Later I would learn this was because of pyroclastic flows--superheated gases and rocks reaching temperatures of 1,830°F flowing over the landscape burying the hummocks from the landslide. 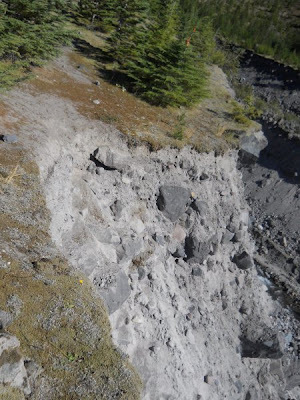 Parts of the valley we were walking on was 600 feet higher after the eruption than before it. Six hundred feet higher! The Toutle River was already carving out new channels through the flattened terrain. As amazing as my surroundings were, however, I was still worried about Ron. Not that he was hurt or injuried--I didn't believe that for a second--but worried we'd be chasing each other around the mountain all weekend unable to find each other. I hoped and prayed he had the common sense to realize that I must have missed that junction and that I was behind him. I hoped that when he reached the Loowit Trail and didn't see me, he'd realize I wouldn't have left there without him. We hadn't even decided which way around the mountain we would go. We discussed the pros and cons of going clockwise or counter-clockwise, but I told him we didn't have to commit to a direction until we reached the junction. Certainly he'd realize I wouldn't go beyond that junction, considering we hadn't even agreed on which direction we'd go. Right? I hoped so. What rotten luck, I thought, to miss the very first trail junction of the entire hike. We hadn't even been hiking together for an hour yet. He wasn't familiar with how I think or my patterns. He might think I'm some super-human freak that hikes a million miles per hour and would leave him in the dust at a critical trail junction. I'm not and I wouldn't, but he didn't know that yet. higher than before the eruption! And if he did go on, thinking I was somewhere ahead, which direction would he have taken? Which direction should I go hoping to catch up with him? If I go the wrong way, I might not see him again until we're crossing paths on the complete opposite side of the mountain! This is so not good. Please, I hoped, don't go past that junction. Stop at that junction and wait for me. 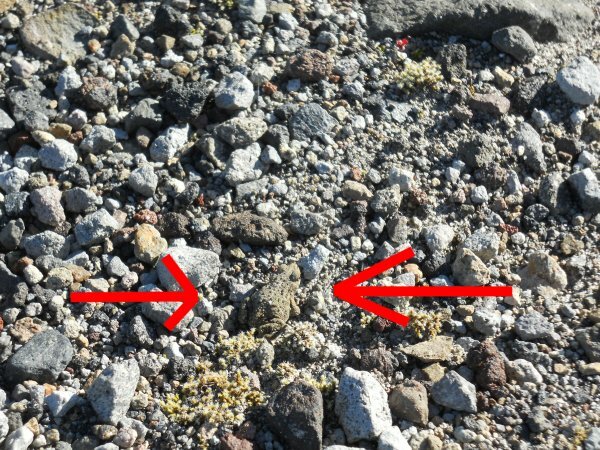 Can you see the frog in this photo? I probably wouldn't have noticed them at all. I was all but chasing this frog! I reached the next junction, and Ron wasn't there. Crap. One sign pointed to the Loowit Trail, 3/4 miles away, going right. The other direction, I also knew, connected to the Loowit Trail, further to the east, three or four miles away, but it wasn't labeled as such. I guessed that if Ron went past this junction--which he clearly must have done--he probably followed the sign pointing to the Loowit Trail, probably assuming I did the same thing. I went right. Elk were everywhere! We'd pass several herds of them, each herd with dozens of them. and the elk are prospering better than ever! This used to be a thick forest before the eruption. "Please, please, please," I thought, "don't have gone past the next junction!" I crossed over a small hill, from which I could see a herd of Elk nearby. Majestic creatures, they are, but I didn't stop to admire them. I needed to catch up with Ron. 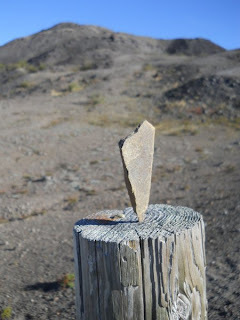 Wassa helps build a cairn to mark the way. I rounded another turn, and--yes!--there was Ron! He was at the trail junction! Relief. I waved at him, wanting to make sure he saw I was behind him, and he waved back. Yep, he knew where I was now. When I got closer, he asked, "How did you get behind me?!" Naturally, I took a lot of photos. Nobody would believe it unless I had photos. I also pointed up at the Johnson Ridge Observatory. "If anyone up there looked through a telescope at us right now, they're gonna wonder about you." If someone did happen to notice Ron, I suspected every telescope up there would soon be pointed at him. 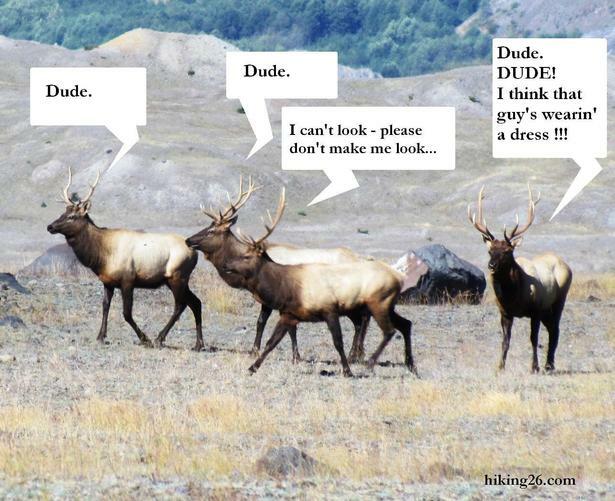 Oh, look, elk--but really, you can see elk any time. 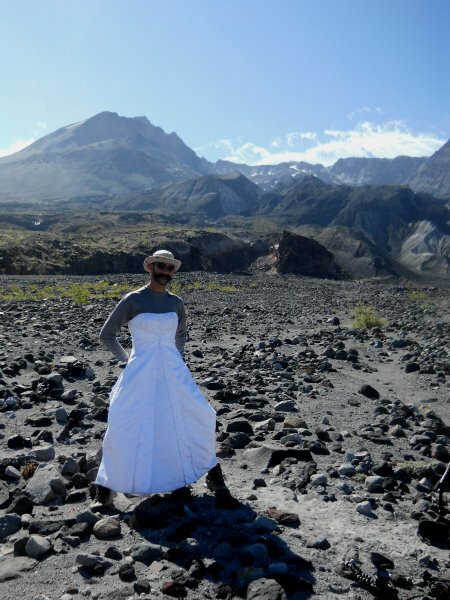 How often do you get to see a man backpacking around Mount St. Helens in a wedding dress? Now that's a sight to see! The trail reached the edge of a deep canyon, and we could see the trail drop quickly down into it. Most of the canyon didn't worry me--it would be a long downhill and a long slog back uphill, but it wasn't dangerously steep or worrisome. No, the size of the canyon didn't worry me. It was a narrow little crack at the bottom of it that worried me. From a distance, it looked like a sheer, vertical cliff. Not very far across--probably 50 feet at the widest--but I can't jump across 50 feet. Ron examines the route down to the South Fork of the Toutle River. Ron sounds like a fun guy. We've been to Mt St Helens 2x and still haven't seen it, thanks for taking us in thus trip. It's definitely a Mount Saint Helen's thing...Every year, scores of people, both guys and gals, climb the volcano in dresses on Mother's Day!